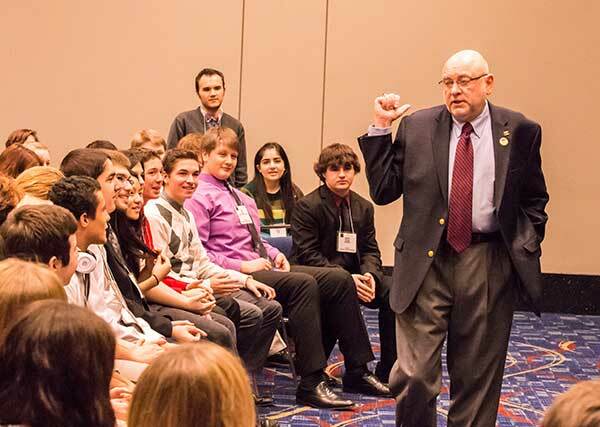 The High School Institute was created by The Midwest Clinic as a special program for students who are currently serving as the leaders of their instrumental music programs. Students who attend this one-day program have the unique opportunity to focus on leadership skills, positive character attributes and personal motivation. Students also get to visit the exhibit hall, participate in special programming designed for them, attend a concert and a clinic of their choice. Finally, college music education majors from several different universities supervise and participate in the programming along with the high school students. *Insider tip: Before heading to the exhibit hall, download and print a Wish List so you keep track of your discoveries as you explore. College Night begins at 5:30 p.m. for students who wish to attend on their own. Band and orchestra directors can register their high school students for this life-changing opportunity. Space is limited, so make sure to secure spots for your students soon! If you have any questions about The Midwest Clinic’s High School Institute, please contact us via email at info@midwestclinic.org.